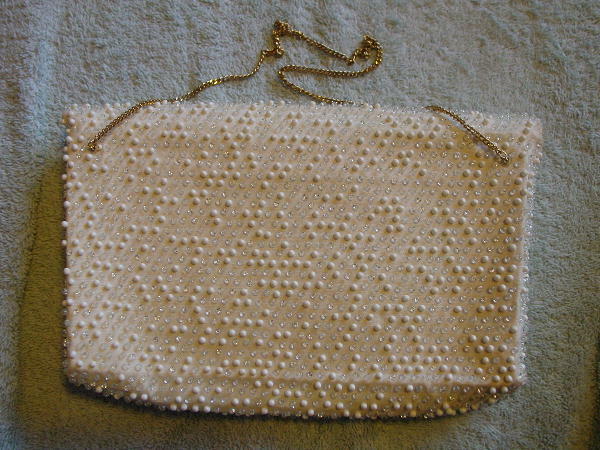 This vintage evening purse was made in the USA by Lumured. The sides are firm and the front, back, and lid have some body to them. The offwhite fabric lining has some small ink marks and some age spots on the upper back and side area. 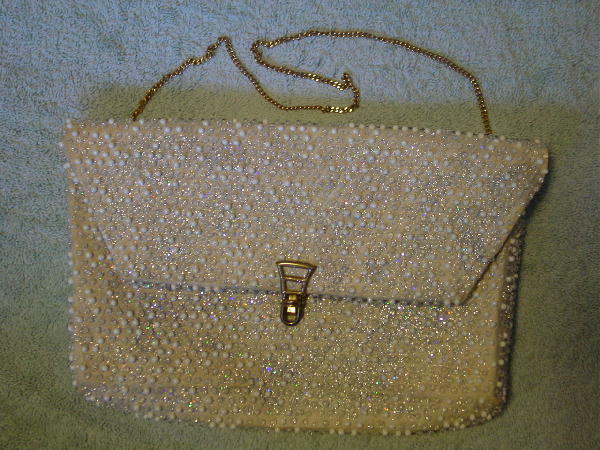 It has an envelope styling with a tarnished gold-tone closure. 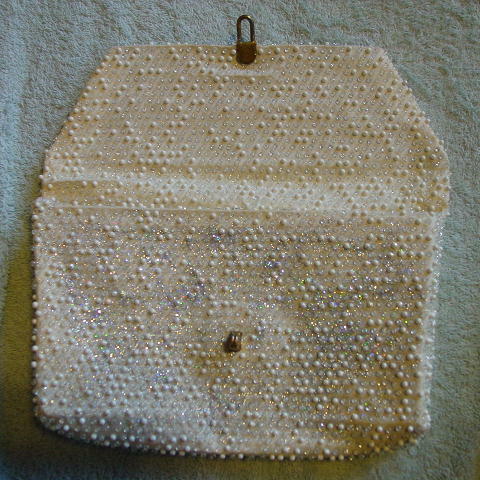 The surface, including the interior of the lid, is covered with little round white and clear beads on an antique white-pale cream fabric backing. 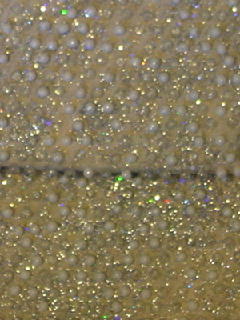 The front has iridescent silvery glitter on it. There is a small age spot on the front lid that is 2 5/8" inward from the right side and 2 1/2" downward from the top. It was missing the chain, so Eden added a gold-tone 19 1/4" long necklace link chain.